Ideal for that finishing touch to your own home brew. Twin lever metal bottle capper for crimping crown caps to seal your bottles, far more robust than standard plastic cappers. 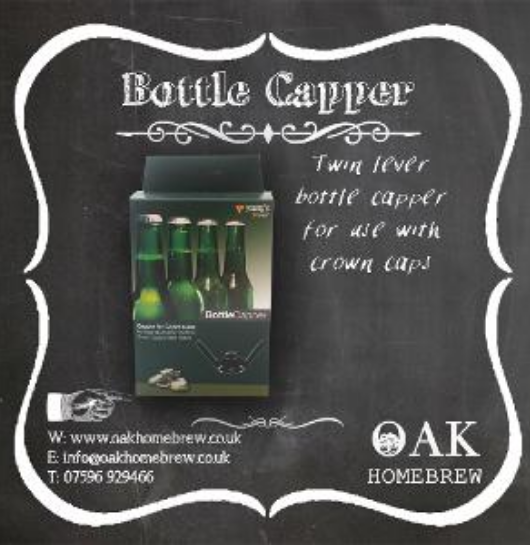 Place capper over neck of beer bottle & with both hands push down onto the handles when handles are horizontal your crown cap will be secure.